Region 13's Heart of the Northwest Award was created to honor a member who exemplifies all that is a Sweet Adeline; believes in the importance of her personal marketing responsibility to present her chorus, the region, and SAI in the best positive way to the general public; serves her chorus and the region to the best of her ability for the love of the organization; shows keen interest in Sweet Adelines and actively participates in both her chorus and regional activities and functions; generously donates her time and skills to her chorus and the region; is a great ambassador for Sweet Adelines and has a positive influence on her chorus and the organization; displays enthusiasm and commitment to promoting the Harmonize the World theme of SAI and Region 13 through her music and interpersonal skills; willingly shares skills and knowledge with other members; and, willing works without expectations of recognition. Sounds like a tough order to fill, right? But the women who have won the award to date are all that and more! Just see for yourself. Nancy Kurth celebrated her 50th Sweet Adeline anniversary this year! “Generous” is Nancy in a nutshell: generous with her time, her talent, and her spirit of encouragement. She nurtures new quartets, supports young singers, and cheerfully nudges seasoned singers toward excellence, never making anyone feel small or inadequate. Nancy exemplifies all that is Sweet Adelines, not only by being a long-time chorus member, but also in the ways she contributes to the organization on all levels. Nancy constantly seeks ways to encourage, educate, and nurture sisters in song of all ages as she welcomes them to the barbershop art form. Nancy is always ready to share the love of our craft with everyone she meets on the local, regional, and international level. As evidenced by a long list of positions in which she has enthusiastically served over the years, Nancy exhibits strong leadership and people skills, and she shares the joy that is barbershop a cappella singing in positive, highly-energetic, and organized ways. She exhibits a boundless sense of humor as evidenced by her constant beaming smile and hearty laugh...she isn’t afraid to get silly with her sisters in song! Nancy’s thirst for ever-expanding knowledge and growth in all things barbershop extends to her own continuing education at regional and international levels. She strives to be the best singer, director, educator, team member, and “sister” that she can be. She IS “Sweet Adelines” and is willing to share this glorious art form with anyone lucky enough to meet her, often volunteering her time without expectation of recognition. She willingly shares her passion with all ages. Nancy is incredibly skilled and musically gifted,and endlessly patient with us "lesser mortals." To read about ALL of the accomplishments Nancy reached over her 50 years in Sweet Adelines, click here. 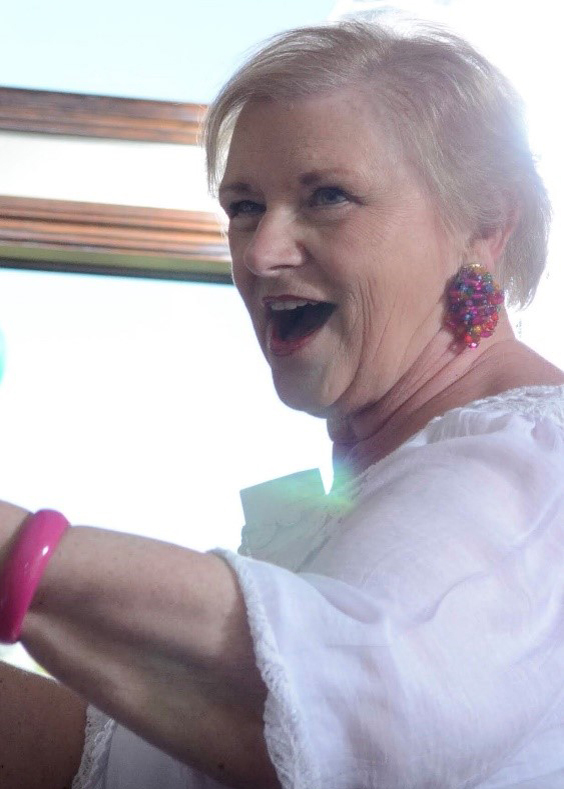 Sue Beck joined Sweet Adelines in 1972, and during that 46 years of SAI membership she has had the opportunity to share her many musical and personal talents with other members, both at a regional and international level. 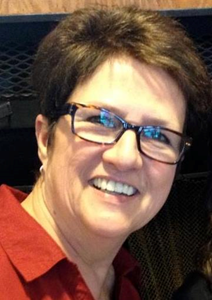 Sue is a certified director, she has been on the regional faculty, has been an education chair, operated as the regional secretary and has also had the honor to direct Ovation, the Region 13 Chorus of Quartet Champions. She was as a member in Sound Cities and Lakeside Choruses, and founded and sang with Pacific Sound Chorus. From there she went on to found and direct Voices Northwest Chorus, of which she is currently a member. Sue has also sung in three regional championship quartets, including the 2018 5th Place Quartet, Fourcast. On the International level, she has been part of the International Faculty, an International Board member, Membership Chair, Worldwide Liaison, Certified Showmanship Judge, Regional Governance Task Force, “CompuJudge” Task Force, and on the Archive/History Task Force. Sue continually shares her passion and knowledge for this craft through coaching of quartets and choruses. She challenges herself to become a better singer, performer and chorus member. She is often the first to volunteer when a role or responsibility needs to filled. She is a mentor to new members and encourages everyone to learn, grow and gain the confidence needed to be a better singer. She is an ambassador for her chorus, region and the Sweet Adelines organization, and we're thrilled she is the 2018 Heart of the Northwest recipient. Sue Middleton is our third Heart of the Northwest recipient! A member of Jet Cities Chorus since 1989, Sue is also a dual member with Pride of Portland (and past dual member of Pacific Sound). During her years with Jet Cities, Sue has been President/Team Leader (three times! ), Membership Chair, Music Team Chair, Publicity Chair, Show Chair, and webmaster. She’s currently the Visual Team Leader, which oversees the costume, hair, makeup and choreography committees, and has been a member of the front row for all but one of her tenure in the chapter. Additionally, Sue is (or was) involved with various activities and committees with her “second homes” at Pride of Portland and Pacific Sound. Sue’s contributions extend far into Region 13, as well: She created and still maintains the Region 13 website, convention website, and Members Only site, and started our Facebook page. She’s the Communications Coordinator for the Region 13 Convention Team, a Regional Faculty member, past member of the Education Team, and was the editor of InTune for nearly ten years. Our “go to” designer, Sue has created numerous convention, SET, and quartet logos; show flyers, programs, and signs for various groups and events. She also has served terms on the Regional Management Team as Team Leader, Communications Coordinator, and Chapter Coordinator. We are excited to honor Sue for her many accomplishments. 2016 Heart of the Northwest recipient, Sally Wallace, joined the Silver Valley Chorus in 1973, which means she has been a member of Sweet Adelines for 43 years! In 1975, Silver Valley was looking for a director when Sally raised her hand and volunteered...if they would support her as she learned. They agreed and she started learning! Sally directed Silver Valley Chorus for ten years until she and her husband moved to Coeur d’Alene, ID. In March, 1985, Sally founded the Coeur d’Alene Chorus. They chartered in July, 1986, and she directed the chorus for a total of 25 years, including two years as a co-director with Melodie Hays. At the present time, Sally serves as an “In-House Coach” for the chorus and sings with them on the risers each week. She was elected to the Region 13 Board of Directors in 1984 and served as Secretary for two years; Regent for two years; and, Director of Musical Activities for six years. In 2011, Sally was appointed as the Communications Coordinator for the Regional Management Team, and in 2012 was appointed as Team Coordinator, a position she held until April 30, 2016. Sally has served on a lot of committees and has been--and continues to be--a member of the Region 13 faculty for many years. In 1993, she chaired the International Education Event that was held in Tulsa, OK for Regents, DMAs and MDRs; from 1994-2000 she served on the International Board of Directors and also served on a number of International committees including Finance, By-Laws and Rules, and Editorial Review Board. Sally contributed to the “Members Count” Handbook, and compiled a manual called “On With The Show,” which dealt with show production. She served on the Board of Trustees for the Young Singers Foundation, including two years as President, and was a Certified International Faculty Member for ten years. Her chorus members speak of Sally as being, "gentle, yet firm. She is loving and supportive of every other Sweet Adeline Chorus and member. She shares her knowledge and experience willingly. If there is a touchy situation, Sally is the one to handle it. Her heart is full of Sweet Adelines, and specifically Region 13." We are pleased to honor Sally Wallace as our 2016 Heart of the Northwest recipient. Melanie Wroe (1950-2014) received the first-ever North by Northwest Region 13 Heart of the Northwest Award posthumously. She was a woman who exemplified the best in Sweet Adelines: member, friend, coach, judge, mentor, and someone who always had a smile for each of us. Melanie’s mother, Elizabeth, was a regional champion Sweet Adeline who instilled her love of harmony into all of her children as they were growing up in Fargo, North Dakota. After completing her undergraduate degree in philosophy, Melanie went on to the University of Washington where she earned a master’s degree in nursing. The bulk of her professional career was spent as a nursing educator, and she eventually become the Director of Nursing Education at Highline Community College. That teaching ability shone through as she began her involvement with Sweet Adelines. Melanie joined Lakeside Chorus after retiring from nursing to raise her two sons. Over the years she would lend her beautiful bass voice to Pacific Sound, City of Lakes in Region 6 (so she could sing with her sister, Jan) and LionsGate from Region 26. She was also a two-time Region 13 quartet champion with Simpatico (1997) and Seattle Mix (2006). Song of Seattle Chorus and its mission to be a performance-focused, rather than competition, group, was Melanie’s brainchild and her dream. Melanie was a certified Showmanship Judge and was an accomplished choreographer, emcee and script writer. She was a sought-after educator and coach throughout the organization and one who brought light and life to all that she touched. We miss her.